Grizzled Blogger Template is free magazine blogger template with 3 columns layout. Template features : gray color for basic background, cool design with elegant gray pattern, 3 columns, left and right sidebar, magazine template, featured posts, simple slidshow menu and more. This template suitable for all type of blogs. 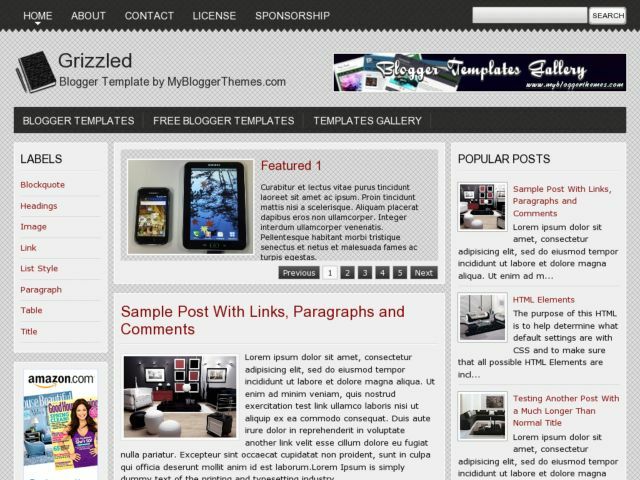 Download Grizzled Blogger Template at Blogger Templates Gallery. mas, cara buat footer di template ini gimana mas?